Are you looking for something more unique for your gift giving this year? You can skip the same-old, store-bought stocking stuffers and spread some holiday cheer with a homemade gift your friends and family will love. These DIY Christmas gifts are just as much fun to make as they are to give. I guarantee that they will be a hit with anyone on your list. These succulent planters made from recycled books are great DIY Christmas gifts for plant lovers or book enthusiasts. Green thumb not required because succulents are so easy to care for. Easy to make tabletop fire bowls will warm up any meal. Quick and easy to create, they will be the spotlight of the meal. Turn a cheap dollar store basket into this deluxe rope basket that would cost a small fortune in the store! This great homemade basket doesn't even require a sewing machine to make. The finished product looks super high end. Your friends will be asking you what boutique you found this gem in. Everyone need a serving tray and this would make some great DIY Christmas gifts. Make these as a pair or combine them with the watercolor plates to make a full set. These are a fun modern take to spruce up your cupboard. Such a fun and updated decor piece. This one is for someone looking for a unique gift. Fancy candles are so expensive but such a nice gift. You can customize this with a favorite recycled teacup and warm scent. Give the gift of a relaxing peppermint foot soak this year. Such an easy DIY Christmas gifts to whip up, you can make a few to give and one for yourself. 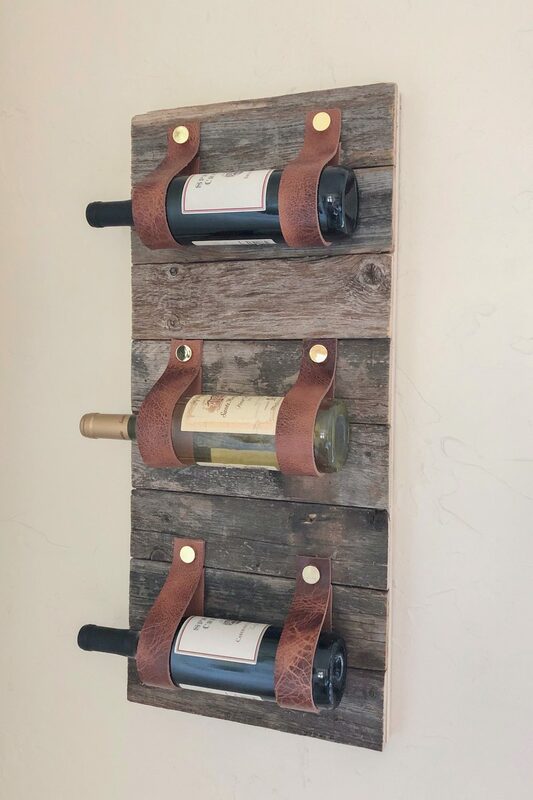 This combines a little rustic decor with a stylish functionality. So simple and unique, it will make great DIY Christmas gifts for anyone on your list. Super chunky knit blankets are a long trending staple of any home decor. So easy to make for a beginner with just a few simple supplies. This chunky knit blanket is an amazing gift for just about anyone! After getting a taste of this you will never again want the imitation stuff from the store. Buying the goodstuff is way to expensive and this taste better anyway. Give the gift of a simple yet gorgeous jewelry dish. These are for the pieces that are worn often so they don't have to dig in their jewelry boxes. This a cute storage solution for those rings, necklaces, and earrings that are worn often. Copper accents are a modern way to update your decor in a timeless way. 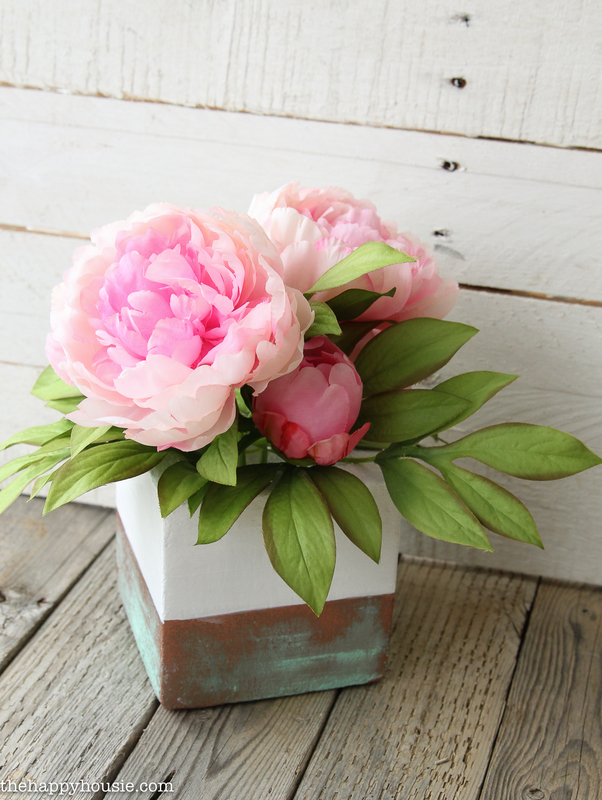 This copper planter is on my to do list and will look great in any room of your home. These infused olive oils make great DIY Christmas gifts for the chef in your life. They are an easy way to add flavor to simple dishes. Feathers can have so many different meaning behind them that they are a great gift for just about anyone. The Crafted Sparrow has an easy tutorial on how to make clay feather necklace. You can take a thrift store white ceramic dish and dress it up to become an expensive looking jewelry tray. The inexpensive gift will keep your friends expensive jewelry in a safe beautiful spot. Fringe on anything and everything is totally on trend right now. This fringe adorned throw pillow is easy to make and oh so expensive looking. You can even recycle a pillow that you already have and just create a new amazing cover for it. 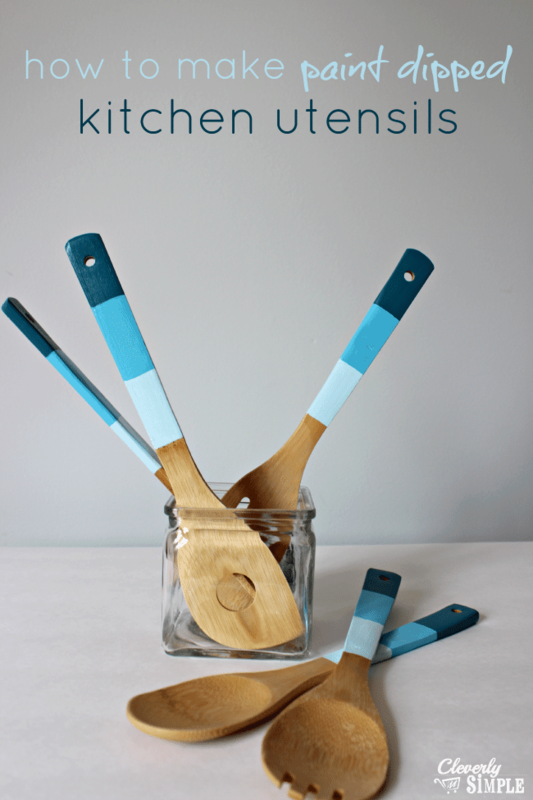 Lynette over at Cleverly Simple has a simple tutorial for these beautifully customized kitchen utensils. This would be a quick and easy DIY Christmas gift for your favorite foodie friend. This marble tray is so upscale and elegant, yet so simple to make! In just a few minutes you can have this ready for gifting. Check out how she does it over at Almost Makes Perfect. 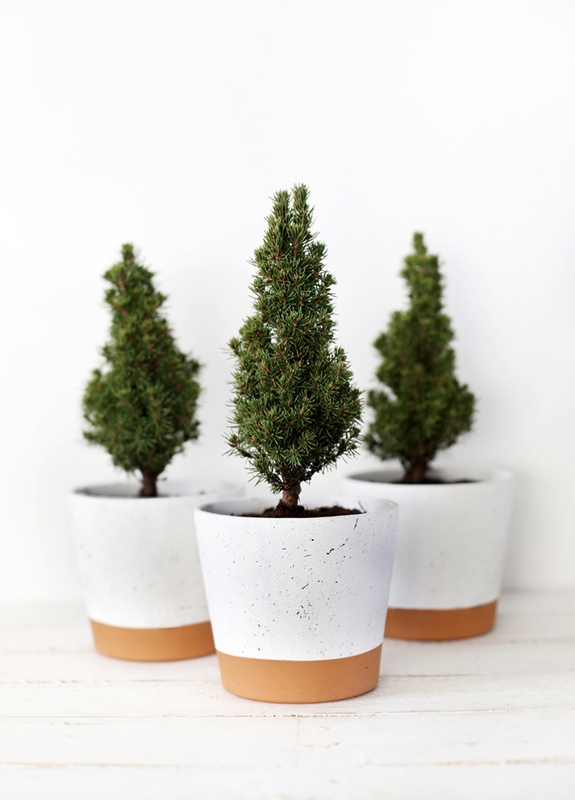 These splatter planter will carry you from Christmas all the way through spring. Simple and easy to make they will stand the test of time. Add a nice plant and this can really brighten Christmas spirts. Are you looking for a gift for a photo taking friend? Camera straps are so expensive and most are not very stylish. This, on the other hand, is so sleek and modern. Leather is never out of style and makes a great gift that only gets better with time. Here is an easy tutorial on how you can turn a plain white canvas bag into a super stylish ombre bag that anyone would love to receive as a gift. This scarf is light enough to wear year-round and would make a great stocking stuffer. All this one takes is a few straight stitches. 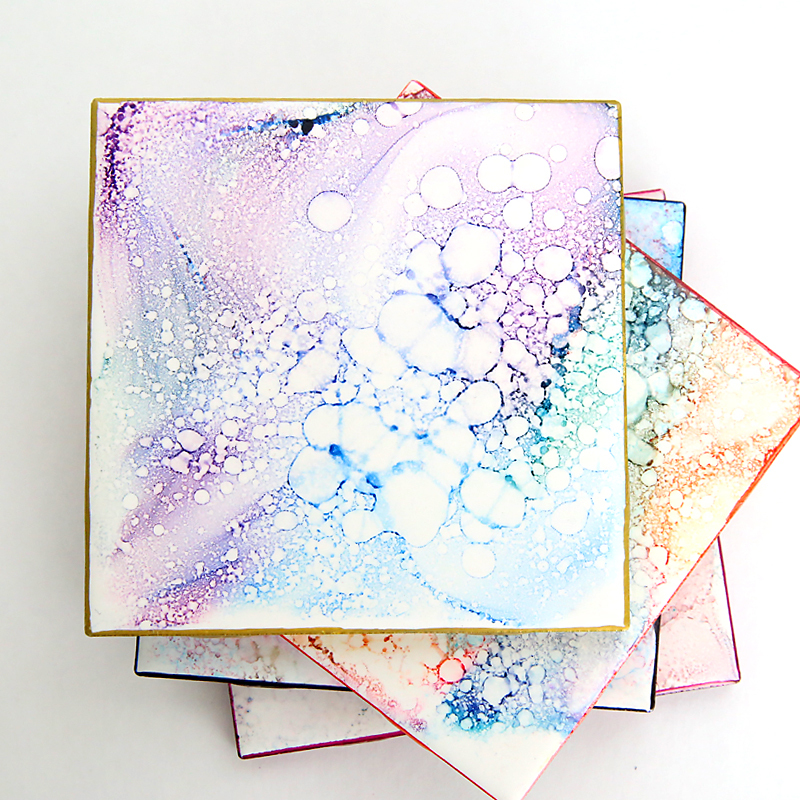 These coasters are so beautiful and easy enough for the kids to make. This would make a super chic gift for anyone! These make wonderful DIY Christmas gifts for anyone who has a wood burning fireplace in their home. Remember the truly great gifts are the practical ones. These tea towels are so cute and stylish, it’s hard to believe the design was made with a Sharpie Pen! The coffee lover in your life is sure to love these towels as they are great for regular kitchen use or just display. This tutorial from Sugar and Charm will teach you step by step how to make these beautiful watercolor plates. Just grab some porcelain paint and plain white plates. Best of all the finished product is microwave and dishwasher safe. This modern cake stand makes amazing DIY Christmas gifts for the baker in your life. A combination of wood and porcelain makes this look super chic and high end. Such an affordable modern copper vase is hard to find. You will never believe what it is made out of. So easy anyone can make it. There you have it 30 ideas for great DIY Christmas gifts that are quick and easy to make. What DIY Christmas gifts have you made? Let me know in the comments below! Thanks for sharing. These are all unique items that I would have never thought of. I’m also on the lookout for unique items that are also affordable for Christmas. And seeing that I start my shopping four months in advance I’ll have time to try some out. Thanks, It is so hard to find a unique gift and these are great options that are not too difficult. DIY gifts such as these show that you put a lot of thought and effort into your gifts, instead of just buying something just to get it over with. Plus it’s the simple things in life that can mean the most.